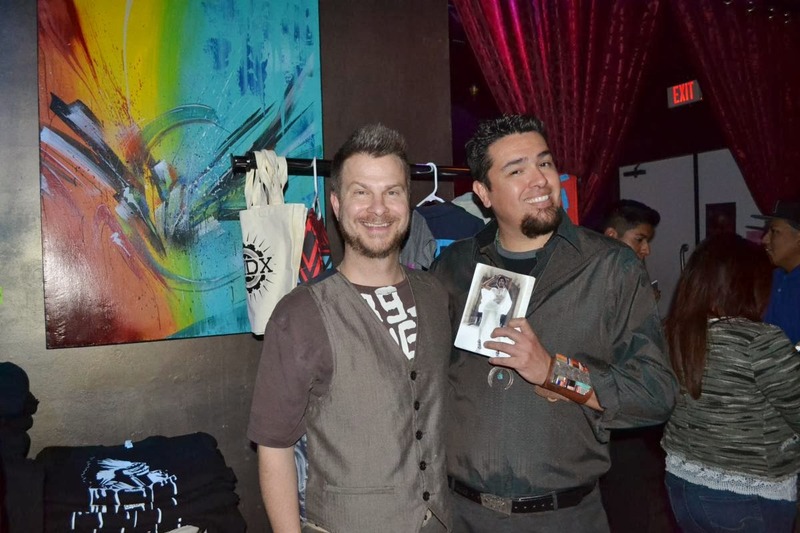 I believe that when you combine fashion designers, stylish folks, music, and a space to mingle, magic can happen. And by magic, I mean creativity gets ignited, inspiration is spread, support is affirmed. 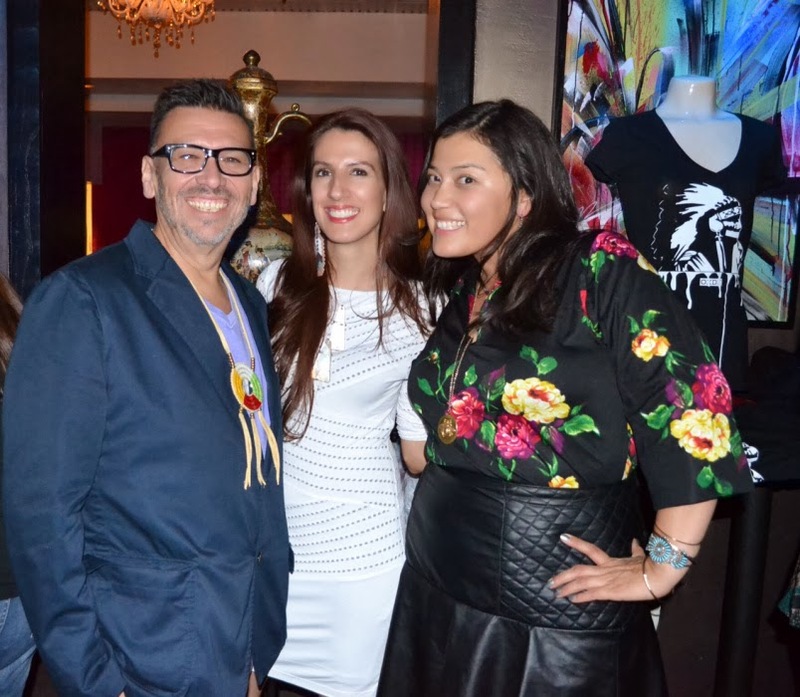 These elements are critical to maintaining a Native American fashion movement. I'm not the only one who believes this. 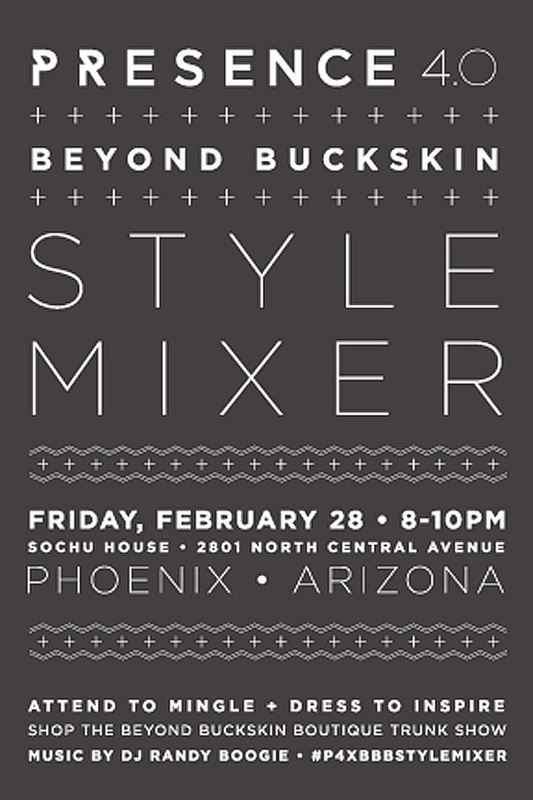 Beyond Buckskin recently teamed up with Navajo fashion bloggers (and academics, scholars, and professionals) Presence 4.0 to host our second style event in Phoenix during the annual Heard Indian Market. 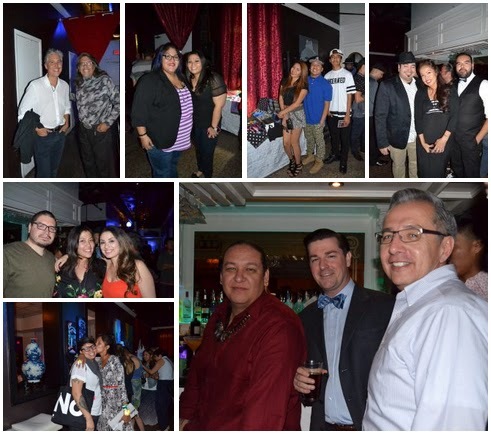 We were honored to have Jared Yazzie of OXDX Clothing, Kevin Dakota Duncan of Painted Warrior Designs, Sun Rose Iron Shell of Warrior Status, and Nanibaa Beck of Notabove Jewelry in attendance to share their designs with us. Other great artists, fashion designers, curators, and art professionals were in attendance and it was such a positive atmosphere overall. I love that feeling of support and positivity. The genesis for an event like this came about over a year ago in a small coffee shop in Phoenix. What was supposed to be a short meeting between myself and Nanibaa Beck turned into much longer, fun and inspiring discussion about fashion, art and style. We had a limited budget, but wanted to do something anyways. It turns out that people are down to support good ideas, and we were able to host our first P4xBBB event. We had a blast, and over 150 people showed up to support it. Something great can grow from a simple idea or concept. If you have an idea for something - don't be afraid to talk it out with someone. A cousin, a friend or a colleague might help your seed of an idea grow into something beautiful. Don't be afraid if the first round is bumpy - you'll smooth it out for the next time, and for the time after that. As I mentioned in a recent blog post, from traditional teachings, we know that everyone in the community has something valuable to contribute, something that is necessary for the community. You have something valuable to contribute. Don't shy away from the gifts Creator gave you. These are important - you are important. In my work with Beyond Buckskin, I know that one of my roles is to create spaces for Native American fashion designers to flourish. Spaces where they can take center stage and show off their gifts, a space where they can meet other designers and like-minded individuals, a space where they can connect with their current and future supporters. I love this job. But there are challenges - and there will always be challenges. Right now, Beyond Buckskin's current challenges have to do with balancing financial constraints, taking time to reflect while thinking forward, fueling creativity while keeping up with demand, balancing obligations to local community acceptance with necessary mainstream international acceptance, and finding time to nourish or maintain relationships with new and current designers, customers, readers, institutions, collaborators, and investors. Then there's the personal side - missing my nephew's birthday, making sure to be available to do my niece's make-up for prom, setting aside time to eat Sunday dinner at Gramma's, visiting my sisters and anties, connecting with friends and cousins, cleaning and fixing up my house, and recovering from immense betrayal. Balance, wholeness, and well-being are difficult to maintain when you're burning the candle at both ends. I'm not the only one with these challenges. From my conversations with the designers, I know they face similar constraints - we reach a limit to what we, as individuals, can physically do. We now need to think creatively about how to continue to grow, expand, and improve without sacrificing those things that make us human. My current go-to answer has been teamwork. Collaborating, volunteering, working together lifts some of the weight. More can be accomplished in less time. 'Work' becomes enjoyable when it's a group effort. Tag-team during busy times: I'll do this task if you can help me with that. Not everyone you'll ask will want to assist you or will have time to help, but the gems that do will make up for it and will make you beam with appreciation (and hope for humanity!). And don't just be on the receiving end of help - I volunteer often and I love it. While 'teamwork' is working for Beyond Buckskin right now, we can't stop there. I have to streamline, stick to our mission, and I have to think bigger so that Native American designers can have a broader international and historical impact. How do we reach the next level, and the level after that, so that our grandkids will say, "Daaaanng look at all the dope things that were going on 50 years ago! That's why Native fashion designers are consistently represented at New York Fashion Week, why we see Native-made fashion in department stores, why the Ralph Lauren brand is now headed up by an Indian, and why Native-made moccasins are the national shoe! Cool!" I don't know about you guys, but I'm dreaming big. And these big dreams came from a tiny seed that many people helped nourish. 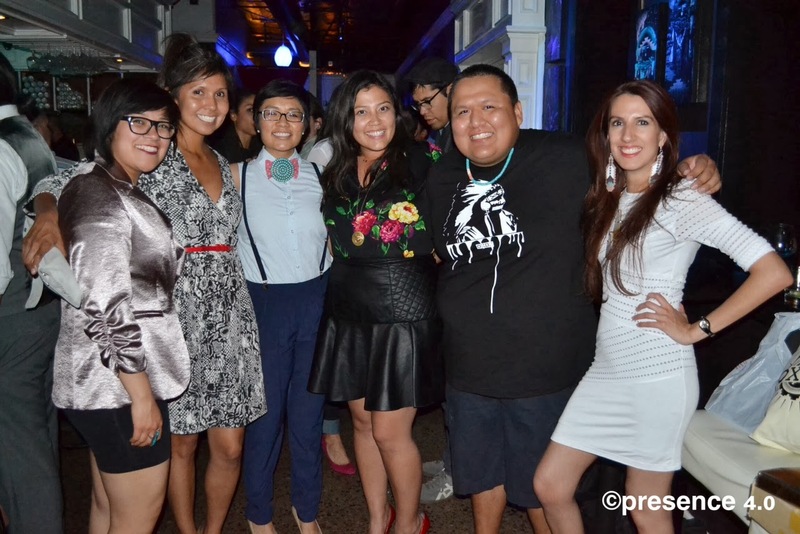 Migwetch to Presence 4.0, the designers, and everyone who showed up for a great event, and thank you all for the continued support. Note: I was busy chatting up Beyond Buckskin that I didn't get any pictures, so these images above are from Jaclyn Roessel of Presence 4.0. You can see more great pictures at this link.